Even people unfamiliar with most aspects of the law have some vague understanding of what personal injury and medical malpractice cases are. The basic notion underlying the legal claims in these types of cases is that the law will hold a person responsible for harming someone else if the harm occurred due to recklessness or the lack of reasonable care. 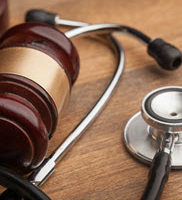 Both personal injury and medical malpractice cases can encompass a wide array of circumstances and reprehensible behaviors, but focusing on medical malpractice, in particular, this area presents a huge amount of potential legal claims due to the complexity and variety of medical care used today. This complexity can make it difficult for injured patients to know when a doctor’s actions could be considered negligent or within the bounds of acceptable behavior. An overview of the more common types of medical malpractice, and how Florida law evaluates a doctor’s decisions/actions for purposes of legal liability, will follow below. fires in or outside the patient’s body caused by ignitable or accelerant materials in the operation room. Birth injuries occur during child labor and delivery, and can result in harm to the mother or infant, and are the most frequently filed medical malpractice claims. Premature babies are particularly at risk for injury due to their less developed systems that leave them vulnerable to infection and contraction of life-threatening conditions. Two issues that commonly occur in birth injuries are inflammation of the bowels, known as necrotizing enterocolitis, and damage to the newborn’s vision due to retinopathy of prematurity. Both conditions are treatable if correctly diagnosed in time, and the failure to catch these serious issues in time to avoid permanent harm could form the basis for a medical malpractice case. All illnesses and medical conditions have certain symptoms and signs that appear when present in the human body, and a doctor is trained to recognize when a person is suffering from a particular disease or illness based on this information. If enough symptoms are present, a doctor is obligated to correctly diagnosis the medical issue and prescribe appropriate treatment. Failure to make the correct the correct diagnosis, or making the wrong diagnosis, could lead to a person to suffer permanent injury or death, and a doctor could be sued for compensation if the patient’s condition worsens or experiences other avoidable damage. Finally, doctors must obtain informed consent from their patients before performing procedures or prescribing medication, absent an emergency, life-threatening situation. Informed consent means the patient is advised of the risks and benefits of the proposed treatment so he/she can decide if it is acceptable. Failure to appropriately advise a patient and receive consent before administering medical treatment, even if the treatment improves the patient’s health, may constitute medical malpractice. Florida law states that all doctors must maintain a professional standard of care when treating patients, which means the course of treatment or medical intervention used on a patient must be reasonable, acceptable and appropriate in light of the doctor’s skill, experience and the surrounding circumstances. If other medical providers would not have responded in the same manner, there may be grounds for a malpractice suit. Few things are more devastating than being injured by a doctor’s negligent treatment, and such experiences understandably raise questions about a person’s legal options for recovery. The Miami law firm of Pita Weber Del Prado have years of experience handling a variety of complicated medical malpractice cases, and are available to evaluate your injury. Contact us for a free consultation.